Media outlets are reporting that at least four residents at Rockford's Alden-Park Strathmoor Nursing Home have been found to have outstanding criminal warrants. These residents were detected as a part of a sting operation by state and local officials led by Attorney General Lisa Madigan. Alden-Park released a statement claiming that they comply with the law and conducted background checks of their residents, but background checks do not show arrest warrant information. 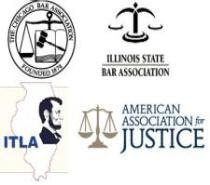 Attorney General Madigan countered that it appears that Alden-Park had information regarding people with criminal backgrounds but failed to share that information with the Illinois Department of Public Health as they are required by law. Nursing homes are responsible for the health, safety and well being of their residents. These homes are obligated by law to provide the optimal care necessary to ensure that their residents are doing as well as possible. This doesn't just mean that the residents get their meals and get medicine when they need it. This obligation also extends to keeping the residents safe from criminals, whether those criminals be other residents or members of the staff. A nursing home can be found responsible for injuries that happen at the hands of another resident or a staff member. Attorney Mike Keating has successfully prosecuted numerous cases against nursing homes for failing to meet their legal duties. If you have a question regarding the care you or a loved one received in a nursing home, call Mike Keating directly at 312-208-7702 or MKeating@KeatingLegal.com.